Book by 16 April & enjoy Free Private Door to Door Chauffeur Transfers^, Early bird Pricing* and Free Deposit Payment Protection†! Sundowners: Enjoy drinks and canapés as the sun sets over the Pyramids. Be awed by the sheer magnitude of the Pyramids and visit the Solar Boat Museum housing the restored cedar wood barge dating back to 2500 BC before marvelling at the 20-metre limestone monolith of the Sphinx. This evening watch the laser light display and entertaining show at the Pyramids. Fly to Luxor and relax in the beautiful gardens of your Special Stay hotel for tonight. Discover the antiquities housed in the Luxor Museum followed by a walk through the colourful local markets. Sundowners: Raise your glass and toast the start of your Nile cruise with drinks and canapés. 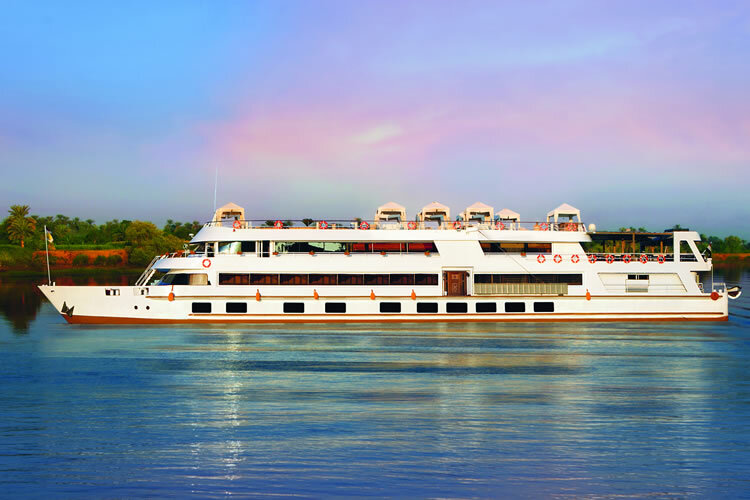 Relax on one of the Sun Decks and catch a glimpse of daily life along the banks of the Nile as you cruise to Dendera. Marvel at the vibrant colours of the hieroglyphics adorning the roof of Hathor’s temple before returning to Luxor and visiting the impressive Luxor temple. This evening’s entertainment will delight with the colours of the whirling dervishes and the mesmerising moves of a belly dancer. 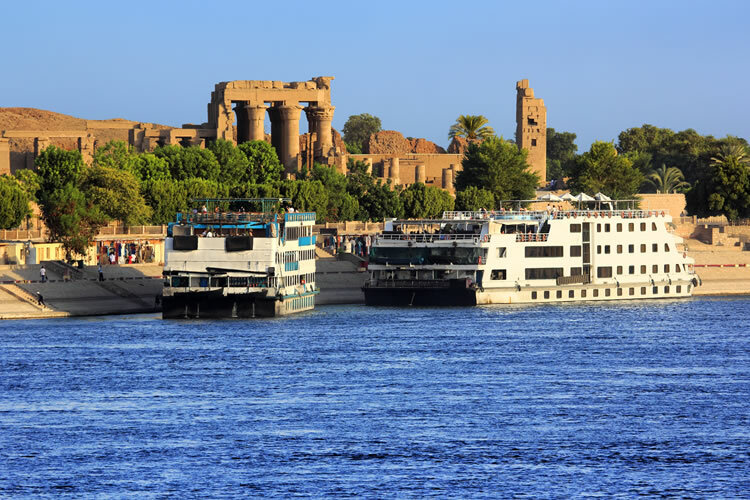 Follow the course of the ancient Pharaohs’ processions along the Nile as you cruise south where villages and majestic temples line the banks of the river against the backdrop of the desert. Discover the Temple of Horus at Edfu, the most completely preserved complex in Egypt. This afternoon explore Kom Ombo temple, perched high on the east bank and dedicated to Sobek, the crocodile god. A fun night awaits on board with a lively Galabeyya party themed with Egyptian delicacies, music and dancing. Enrich: Watch the sun set and picture yourself as Agatha Christie, pen in hand, as you sample delicious Mediterranean cuisine during a private dinner at The Terrace. Terms and conditions apply. All offers are subject to availability and operators booking conditions. Prices are based on two passengers sharing the lead in grade stateroom unless otherwise stated. All discounts have been applied to fares displayed. Offers are valid for new 2018/19 bookings only made by 16 April 2018. ^Private door-to-door transfers are complimentary within a 75-mile radius of an airport where flights are available from or St. Pancras International Train Station and are subject to availability. For guests who live outside of this 75 mile radius, an additional supplement of £2.00 per mile will be charged. *The number of available Earlybird fares are strictly limited. †If Scenic or you (the customer) cancel a tour prior to the invoiced final payment date, and the Deposit Protection Plan applies, they will hold your deposit, less any third party cancellation and/or administrative fees incurred by us, for our tour products only, (i.e. not products provided by third parties such as air travel) and we will credit the remainder of the deposit towards an alternative tour product if you book within 24 months of cancellation. If you do not rebook within 24 months, your Deposit will be forfeited. Offers can be withdrawn at any time. We charge a one-off small £20 booking fee. That’s it - nothing more and no add ons when you pay the balance. E&OE. ABTA P6710.